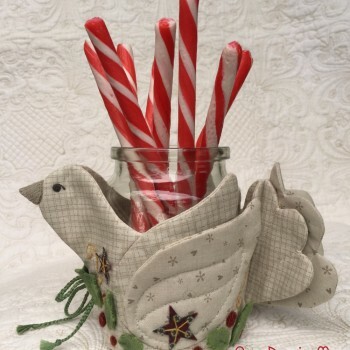 – A sweet, dimensional dove to adorn your Christmas table, designed to tie around an 8 – 9cm diameter jar or decorative candle. 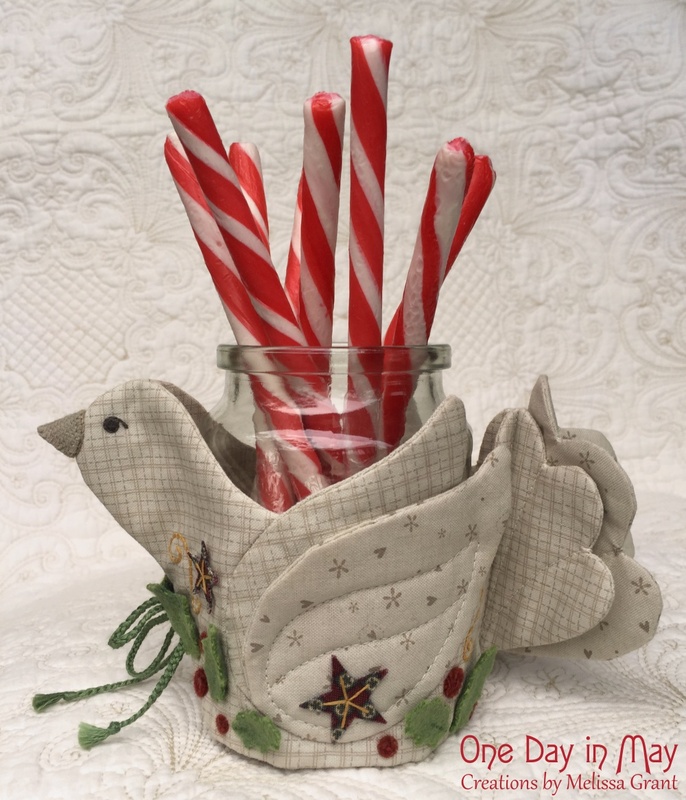 Appropriately sized to suit a small mason jar or 100gm coffee jar. 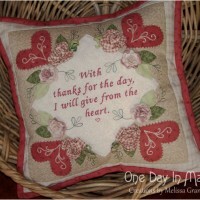 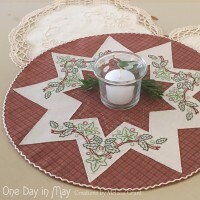 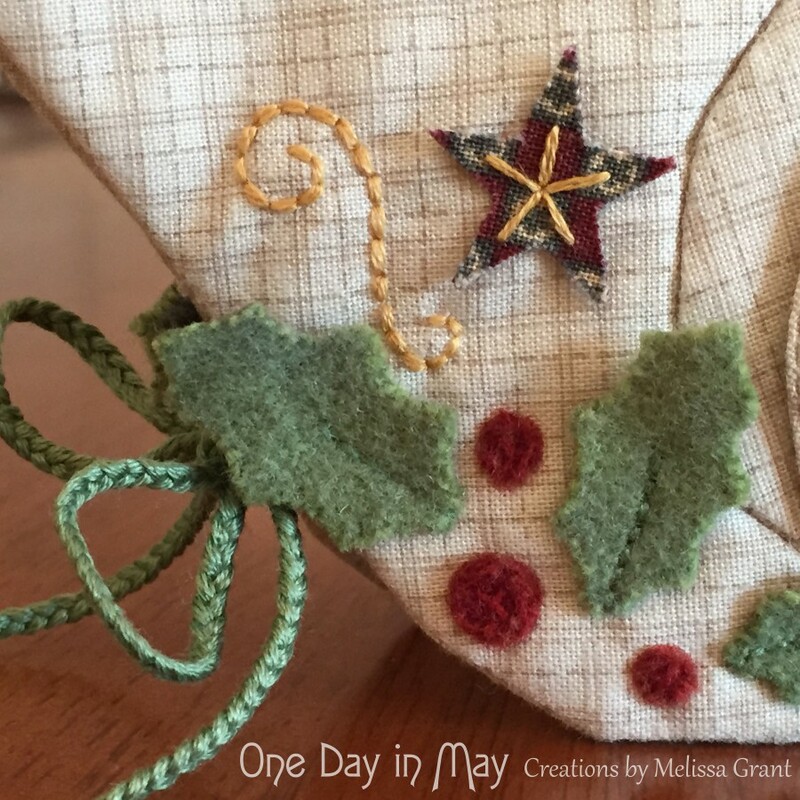 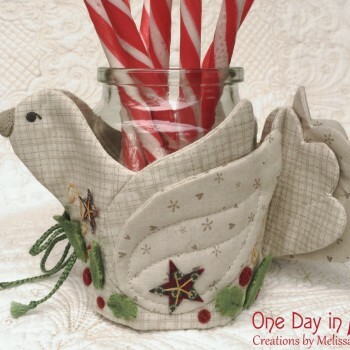 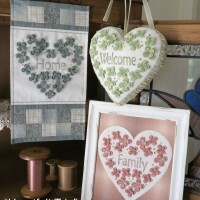 – This merry dove is embellished with embroidered swirls, felt holly and double-sided fabric stars. 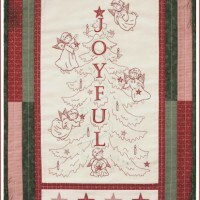 The holly and stars are only attached with central embroidery, allowing them to sit up a little from the background. 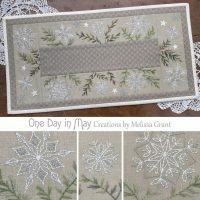 This adds a further dimensional feature to the design. 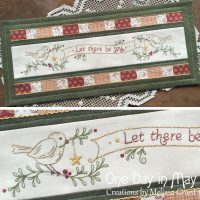 Braided embroidery thread finishes this piece, tying the dove together at the front. 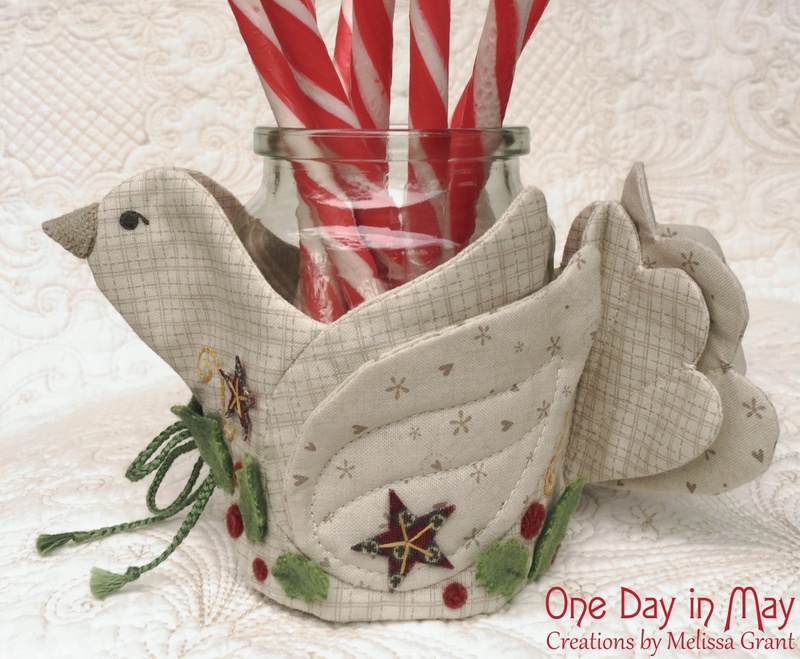 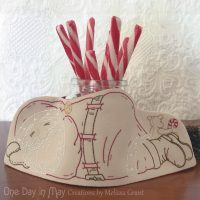 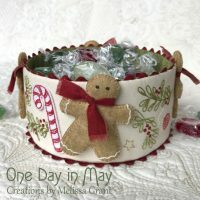 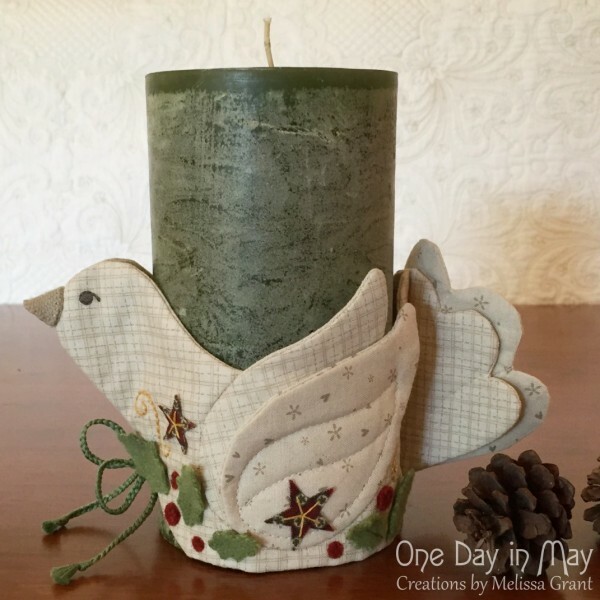 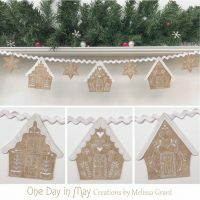 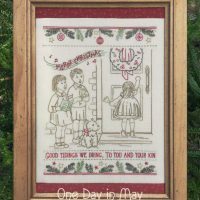 – The “A Merry Dove – jar and candle wrap” pattern includes a full sized pattern sheet and an abundance of photographic and illustrated instruction. 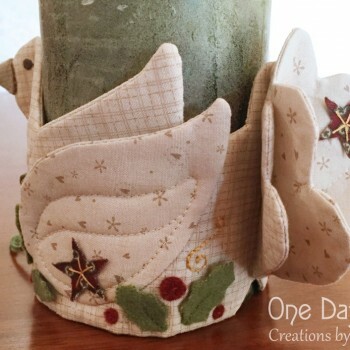 Please scroll down to find the “A Merry Dove” requirements list. 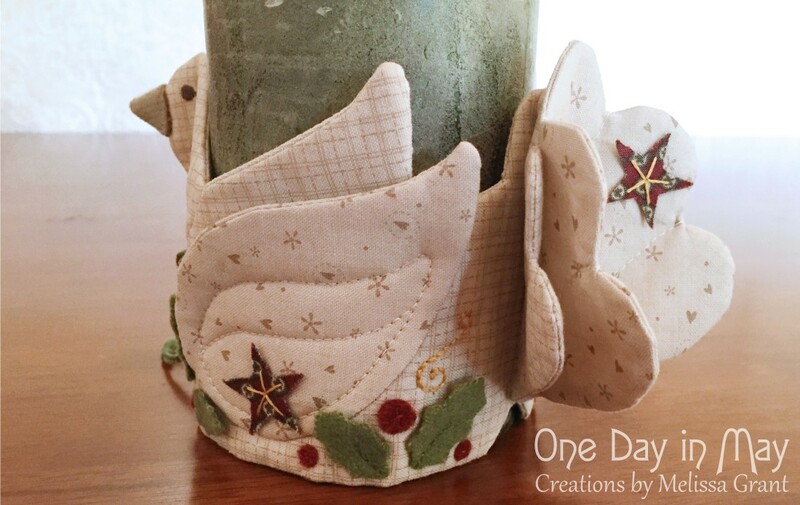 – 1st Off-white Fabric – A Fat Quarter – for dove bodies and back wings.